Parked side-by-side, the two cars look nothing alike. 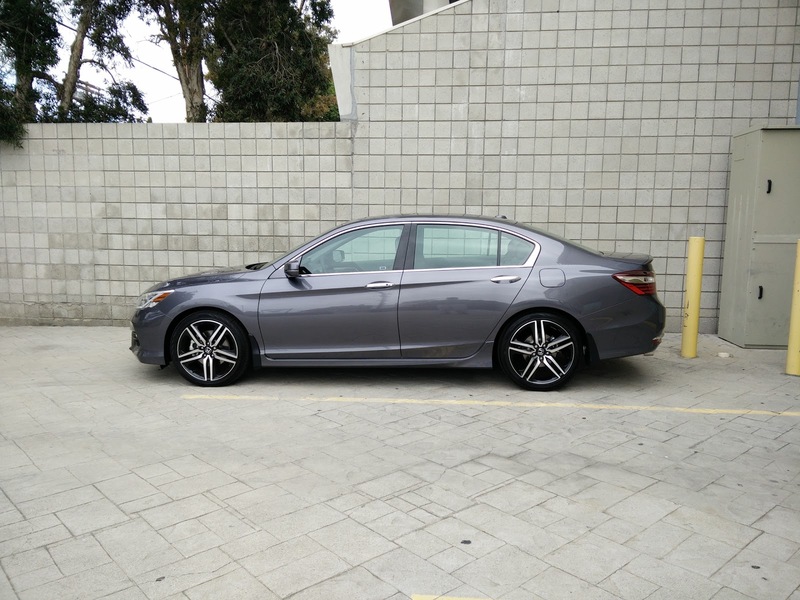 This latest generation of Honda Accord, especially in the sporting trim, exudes an air of mechanical menace that Accords of the past have never had. By contrast, the RLX is a much more dignified, understated look, presenting a conservative air that says tasteful and not gaudy. Both cars, however, utilize LED headlight clusters, but where the Accord has separate LED strips for DRLs, the RLX's headlights pull double duty. The look of the individual LED elements in the RLX definitely feels more upscale while the reflector style LED setup in the Accord adds to the car's sporting appearance. There are, of course, minor details here that matter. For one, the Accord wears a set of LED fog lamps while the RLX has no fog lamps at all. Those lights in the lower bumper are the RLX's turn signals. In back, the RLX uses a full LED tail lamp cluster while the Accord combines LEDs with conventional halogen elements to create a very convincing and attractive lighting effect. Finally, where the RLX has door close buttons on all four exterior door handles, the Accord halves that with only two. Overall, let's call that one a draw. Material quality is notably different between these two cars. While their dash layouts are similar, the Accord's more user friendly and simpler design gives it the edge whereas the RLX's complex feeling dual screen arrangement still leaves much to be desired. With the Accord, a traditional emergency brake with a pull-up handle is offered while the RLX sports a fancy new electronic parking brake with brake hold. But where the RLX starts to justify its cost difference is in the higher quality leather and the use of acoustic window glass for front and sides. There is no question that when it comes to noise, the Acura out-quiets the Accord by several noticeable notches. Driving the RLX, it is so serene and devoid of road and wind noise that it makes the whole experience a more peaceful one. The Accord manages reasonably well for the class, but there is simply no contest on this front. That extra sound proofing in the RLX hurts it here. Carrying around about 400 extra pounds, the RLX feels noticeably slower than the Accord in nearly all situations. The fact that it is slower is further exacerbated by the fact that the fuel economy numbers are not even close. 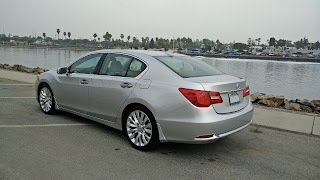 The Accord comfortably turns in 34 mpg on the highway while the RLX frequently struggles to reach its 31 mpg. Of course, the RLX has paddles for selecting your own gears, a notable omission on the Accord, and it has the benefit of the P-AWS system, which makes an enormous difference when hustling the two-ton sedan around a set of mountain switchbacks. 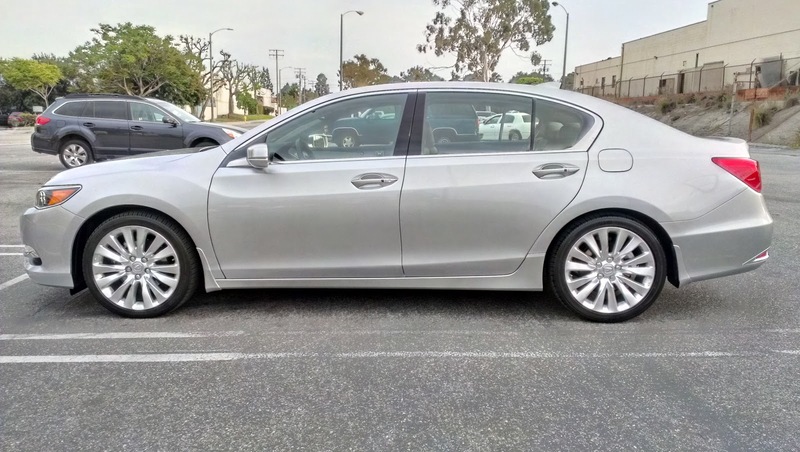 The RLX is much more willing to turn while the Accord often plows because of the prodigious weight hanging on that front axle. Given the back and forth, this one strikes me as a wash. Here is where the two cars start to differentiate themselves the most dramatically. Our RLX is fitted with the Technology package, which combines nicer interior trim elements with Acura's navigation system and power folding door mirrors. The Accord is a Touring trim, which packs it to the gills with all the technology Honda saw fit to include. Here, there is no contest as the Accord comes packed with all kinds of tech that, while pioneered on the Acuras, has made its way into the Accord. On top of that, the Accord is a newer car and includes newer technology that is simply not available in any Acura vehicle at this time. 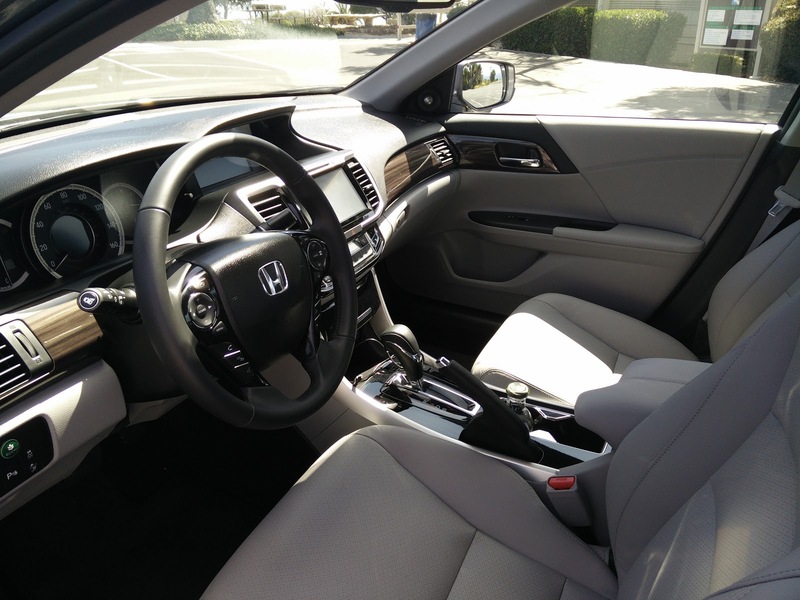 For example, the Accord's inclusion of available Android Auto and Apple CarPlay means smartphone integration that is at least a full generation ahead of what Acura offers. While the Acura has a few niceties that are standard equipment, such as light-up door handles, power folding door mirrors, and keyless entry door handles on all four doors, these are rather minor when you consider that the Accord includes the full Honda Sensing suite. 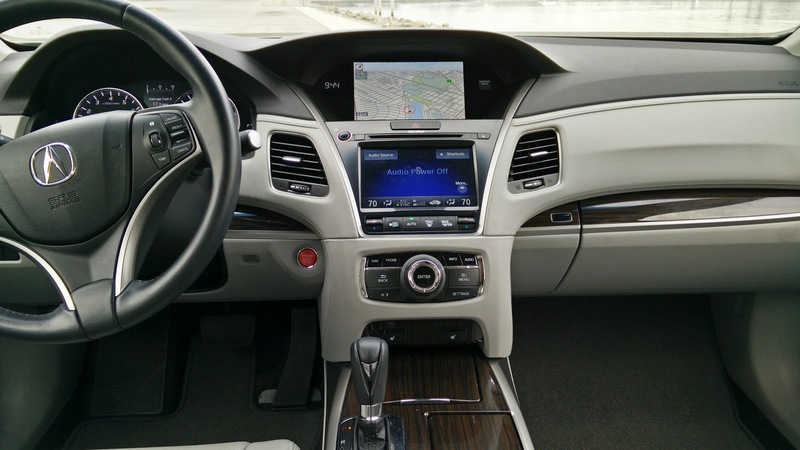 The one stand-out piece of tech that the RLX has which the Accord does not is the all-wheel steering system. Even so, no contest, the Accord wins this one handily. Looking at the outcome here, there is something to be said for the Honda Accord. Despite a price deficit of nearly $20,000 when comparing MSRP, it does an excellent job of standing toe to toe with Acura's top sedan offering. Even with negotiated prices only around $10,000 apart, there is not necessarily $10,000 worth of difference between the two to justify Acura's price tag. This is probably the greatest failing of the RLX: the Honda Accord in Touring trim is just so damn good these days. Unless you are looking for a badge to hide behind, there is almost no good reason to spend that extra money on Acura's big sedan. As much as I like the RLX for what it is, it simply is not as great a value these days because the Accord has really stepped things up.